Only a Missouri Masonic Lodge can submit an event request. 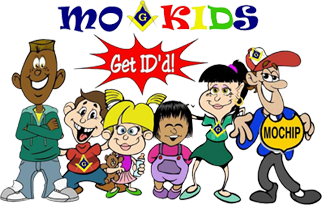 If you are an organization and you would like to have a MoCHIP program please go to http://momason.org/lodges-districts/ to find a Masonic Lodge in your area. Please fill out the application in its entirety. Missing information will only delay your submission. Your “request” is instantly forwarded when you press the “ADD” button to the Masonic Children’s Foundation Coordinator.Your request will be reviewed and you may be contacted if additional information is needed. Please allow up to two weeks for your event to be processed. 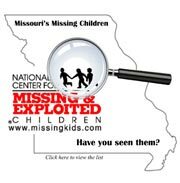 If you do not receive confirmation after that time, please call the State Coordinator, Mitch Penn @ 573-727-4020. 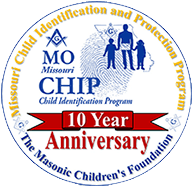 Once your request has been reviewed and approved you will receive an “approval email” and authorized representative of the Masonic Children’s Foundation, and assigned a Regional Coordinator. Two packets of information, forms and flyers will be attached to your “approval email,” which will guide you through every step of the MoCHIP process. Your Event will then appear on the website under the ”Calendar” tab. Event times should be scheduled from 10am-2pm, however, we will consider other times. Your lodge is responsible for all promotion and must provide a minimum of 20 volunteers, though 30 is preferable and will allow for breaks. You will be asked to provide a volunteer list to your MoCHIP coordinator 10 days in advance. If you have any questions, please contact Mitch Penn (mitch.mochip@gmail.com) or 573-727-4020. MoCHIP reserves the right to cancel any scheduled event due to inclement weather, inadequate space/working conditions, poor volunteer support, lack of preparation, or administrative issues.